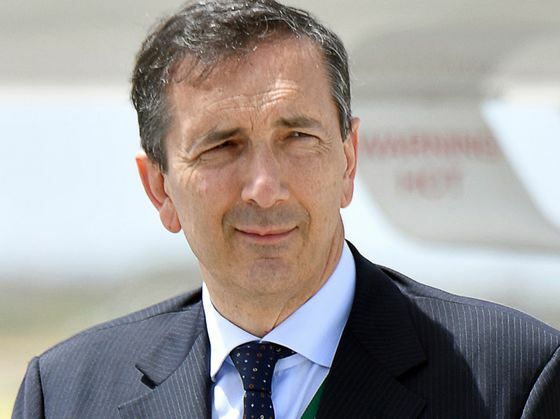 (Bloomberg) -- U.S. activist fund Elliott Management Corp. raised its stake in Telecom Italia SpA in a show of confidence for Chief Executive Officer Luigi Gubitosi as he prepares a new strategy for the struggling phone carrier. Elliott on Thursday disclosed a 9.4 percent stake in Telecom Italia, up from 8.8 percent previously. Locked in a battle with Telecom Italia’s biggest investor -- French media-conglomerate Vivendi SA -- Elliott may increase its holding further, according to people familiar with the matter, who asked not to be identified because the deliberations are private. In a filing with the U.S. Securities and Exchange Commission, the U.S. fund said it considers Italy’s biggest phone company undervalued and an attractive investment. 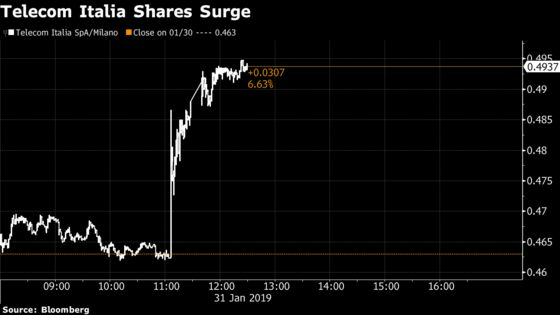 Telecom Italia shares rose as much as 6.5 percent in Milan for a market value of 10 billion euros ($11.5 billion). They hit a record low on Jan. 22. Last November, Gubitosi replaced Amos Genish, a veteran Vivendi executive, marking a victory for Elliott in its push for a radical overhaul of Telecom Italia. The new CEO is taking a fresh look at options for the company’s landline network, an asset valued by analysts at about 15 billion euros, as he prepares to outline a new strategy for the carrier on Feb. 21. Gubitosi plans to hire advisers to study ideas including a network-sharing deal or merger with smaller rival Open Fiber, people familiar with the matter told Bloomberg last week. Elliott reiterated in the filing that there are several ways to enhance shareholder value, including the grid separation, “evaluation of market consolidation options,” as well as the conversion of savings stock to common shares. Vivendi opposes losing control of the company’s fixed-line network and doesn’t view Elliott as a long-term investor. Gubitosi took the reins at a company weighed down by net debt of 25 billion euros and heavy pension liabilities. The carrier hasn’t paid a dividend on its common shares since 2013 and must now also shoulder heavy investments in new networks. French rival Iliad SA’s entry into Italy has also plunged the mobile market back into a price war, reducing revenue for incumbents. Telecom Italia shares have declined about a third in the last year. Last May, Elliott won control of Telecom Italia’s board, installing 10 out of 15 directors. Vivendi will make a bid to regain board control at a shareholders meeting on March 29.